There is not much left of this old farm nowadays, but there is evidence of TWO farms here. This area once had an abundance of farms but even the ruins are disappearing as the stone is used for road building and other purposes. Probably the most remote of all the ruins, and a prime spot for Wheatear, Curlew and Stonechat. A friend remembers seeing Simms’s in the mid-90’s when there were still openings for windows and doors but you have to delve further to uncover the secrets. Simms, twice. 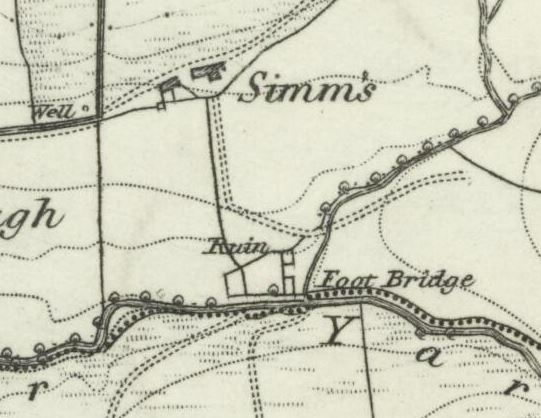 The lower spot, marked simply “Ruin”, is an area I have always called Giant’s Stile Farm, and was the site of the original Simms until around 1820 when the tenant decided to move northward to the “current” location. The Pilkington family, who had links to most of the farms on the moors, are known to have branches of the family that lived here. Samuel Pilkington was born here on 2nd March, 1809, and was christened on 13th June of the same year at Rivington Unitarian Church. He married on the 18th January, 1847, and died in 1887, being buried at the Parish Church. I can’t yet find the name of his wife, whom he outlived, but they had a son, Thomas, 1844-1897. How many of these lines can be traced on the ground now? When Rivington Waterworks was constructed in the 1850’s it became the policy of successive landlords to reduce the number of buildings in the water collecting grounds in order to prevent pollution of the water supply and perhaps this is what happened here. 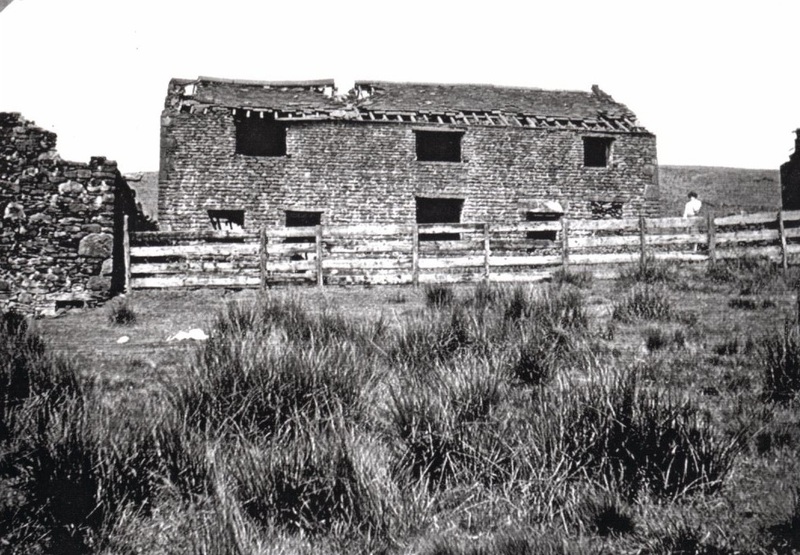 George Birtill’s 1972 book, The Hiker’s Book Of Rivington, says that the ruined farm is unmistakable for its size. 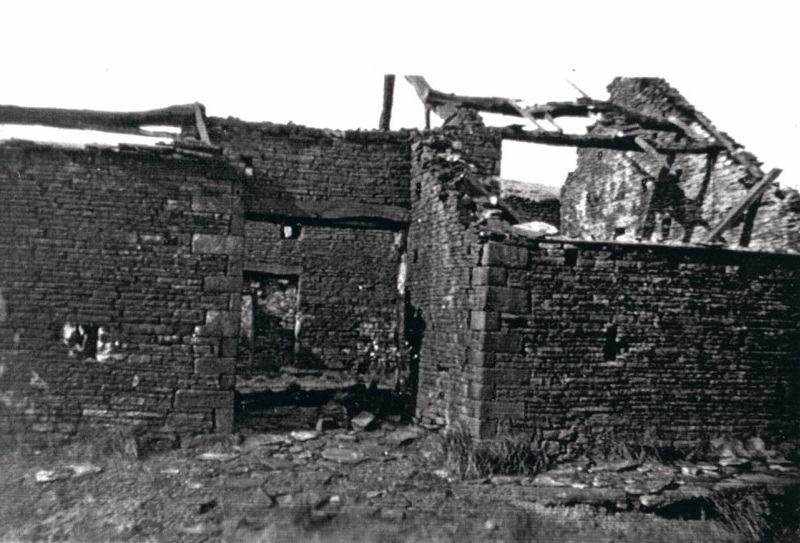 The ruins of Simms when there was still something to see. The names Jepson, Ward, Gill and Simm were tenants of Anglezarke as far back as 1595, and some of these names go back even further. 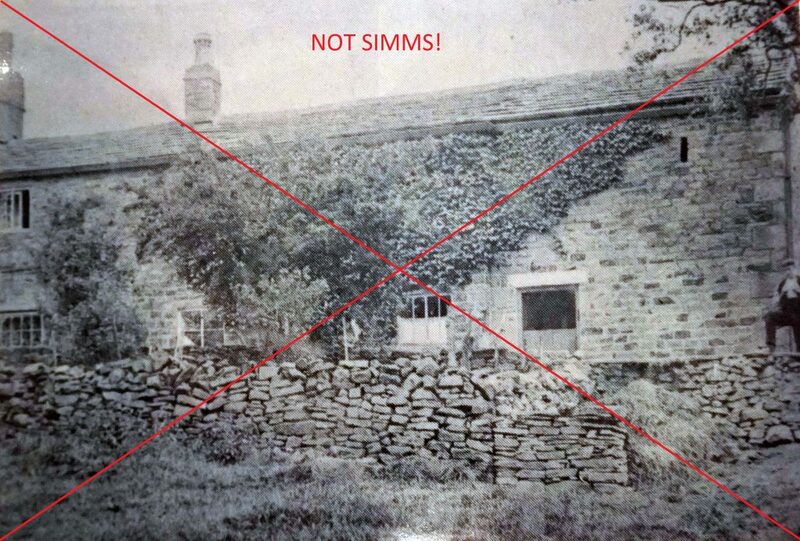 Simm is believed to be a shortened form of Simson, although George Birtill in his book Heather In My Hat suggests that Simms = Son of Simon, possibly Simon De Knoll who was an early freeholder in Anglezarke. This is an area known for having open ditches across the moorland, rather than the more modern tile ditches which came to replace them. There was a Roger Simm of Anglezarch in 1731. Not long later, in 1757, there were known to be 108 acres to Simms – comparable to the 110 acres of Higher Hempshaws, and 51 acres of Lower Hempshaws. Old Brooks had a meagre 8 acres. The farm of Simms at this time was a short distance south of this spot – alongside the River Yarrow. This is the spot I call Giant’s Stile Farm, and I was delighted to discover it was the old Simms Farm location. The barn here was an old threshing barn, which gives evidence of enclosure farming before extensive ploughing had ceased around 1730-50. 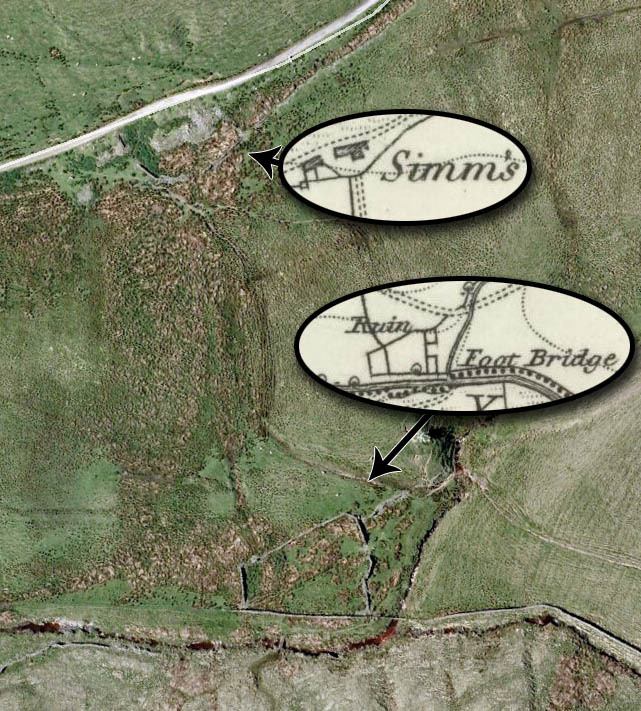 Simm’s as shown on OS mapping in its later location, and also discovered as the unmarked ruin near the river bank. Perhaps the older ruin is in better condition due to it disappearing from mapping? The farm of Simms was rebuilt in its “current” location in 1820 at the request of the tenant. The land here is reckoned to be more fertile, as it is away from the wide “tongue” of gently sloping land which separates this location from the Hempshaw’s. Whilst it was undoubtedly moist around here, I suspect it may have lacked nutrients and light. The Hempshaws joined SImms by 1897, with an overall farmed acreage of 267. Richard Skelton mentions in his book, Landings, that there is an unnamed and tattered book in Bolton Library that says there was a date stone on the farm of 1649. There is a description of a sketch from the tattered book – I will try and ask Bolton Library if I can get a scan of it. The construction was said to include an unusual form of roof truss, where the beam rests on the walls of the barn, and the roof is made of stone slabs. 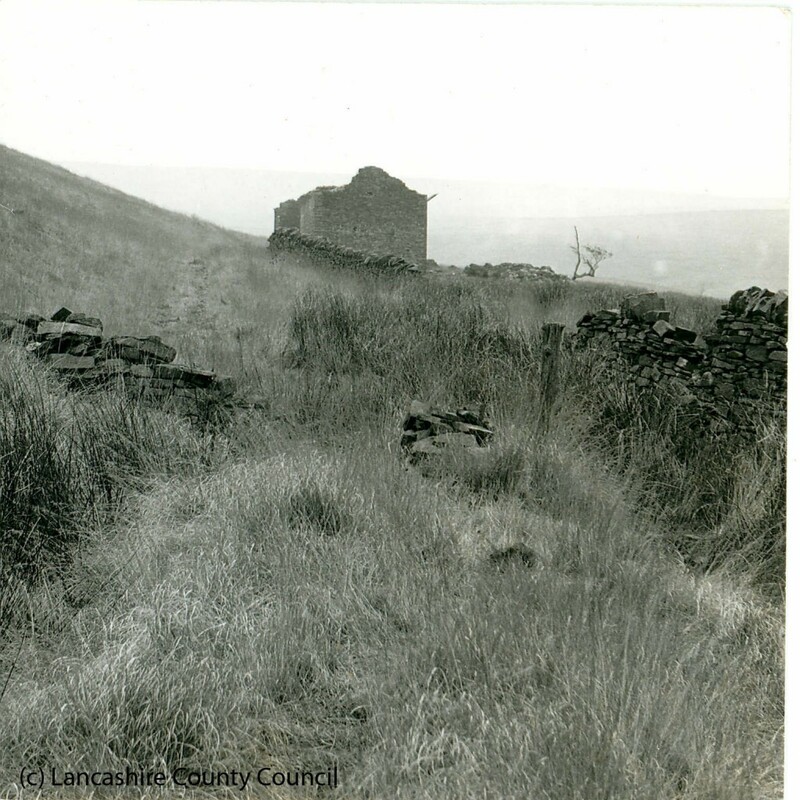 In 1851, the census confirms that this farm had a shepherd – as did Brook House and Higher Hempshaws. 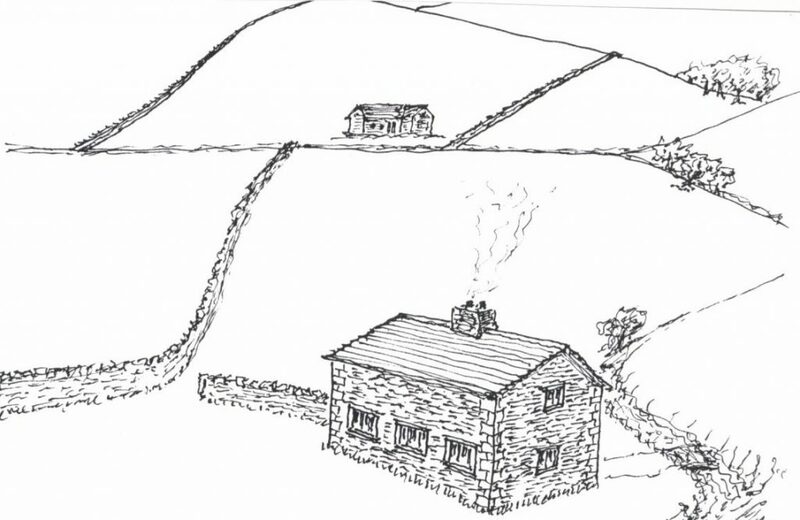 Ten years later, Simms along with Brook House, Lower Hempshaws, Parsons Bullough and High Bullough, all employed the farmer’s son as the shepherd. Apart from sheep, there were a few stirks (young calves) generally kept. When occupied in 1897, the rent of Simms dropped to 40% of the 1878 level. You might notice an area on the maps around here called Sam Pasture. This was known previously as Sim Pasture, and also Simms Pasture, which explains its obvious ties to the tenement. The pasture was the common hay meadow for all the farms in the Helmshaw area of the moors – certainly including Hempshaw’s and probably Old Rachels, Wilkinson Bullough, Abbot’s and Old Brooks. These farms generally shared the characteristic of having a dry earth closet, and bucketed water from the nearest stream. In the late 1800’s the men mainly worked in the mills of Adlington and Belmont, and farming was but a subsidiary income source. Samuel Pilkington b 1809, the son of Thomas Pilkington and Mary Vause of Stones House married at Bolton to his first cousin Jane Holt widow nee Pilkington bc 1807 daughter of Samuel Pilkington bc 1775 [ brother to Thomas above ], and Betty Ainsworth on 22 Jan 1844 and they had a son Thomas b. Q3 1844. Jane’s first husband was Charles Holt bap 10 Apr 1805 Rivington brother to the above Ann. Samuel was resident at Simms farm from about 1845 [Census 1851 onwards] He died in 1887 and is buried at Rivington. Thomas and his brother Samuel also had a sister Jane bap 1788 Rivington who married Roger Simm. By 1851 they were at Fir Tree House at Heapey. 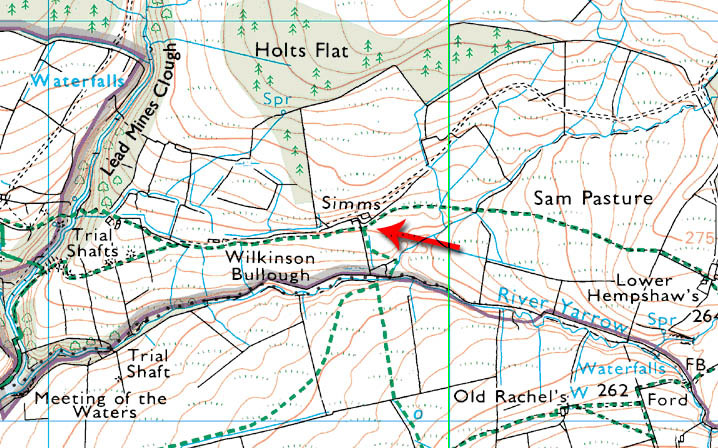 I have just checked the triangle area near Simms, it is marked as Sheepfold. 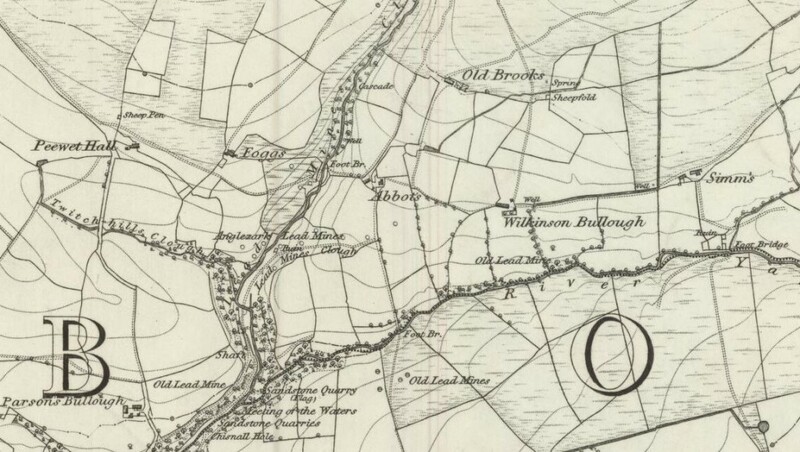 54 on the OS first edition 1: 2,500 map and marked up as .243 and appears under to be Tithe no.5 on the Anglezarke Tithe Map. Records show 5 was occupied by Samuel Pilkington at the time of the Tithes. I prefer the location of the original Simms (Tithe 5), much more sheltered and a fantastic camping spot I reckon. Thanks Paul.